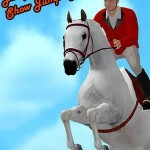 Tags: Care for horse, Feed your horse, Grooming, Horse competitions, Horse jumping, Horse racing, Kids, Mini-games, Realistic, Show jumping, Take care of horses. 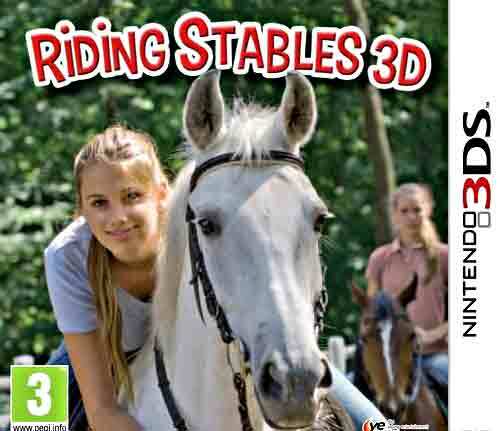 “Riding Stables 3D: Rivals in the Saddle” is a game that’s very simple and that kids with less than 8 years old will certainly love. 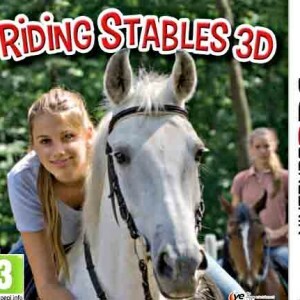 Although I must warn you that the story is a bit sinister and suggests that the player must do some illegal activities (as it says in the official description of the game), but the gameplay doesn’t shows this at all, so it’s mainly up to the parents to decide if it is suitable or not. The story starts when your neighbor dies and everyone wants to keep his horses. As he already expected this, in his will he says that whoever wants to take care of them needs to enter a competition and win it. You must prepare to win this tournament right? In order to do so, there are 30 different tasks, so you’ll have many things to do. 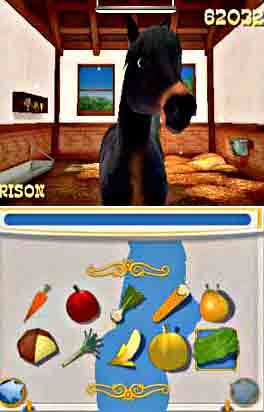 These tasks include 11 mini-games where you need to feed, groom and play with your horse. You’ll also have the chance to enter in several races with it. 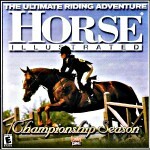 These races are in a first person perspective, which I personally though was pretty awesome because you don’t see that quite often and it’s fun to see the main’s hair jumping up and down along with the horse’s movements. Also, there is a really interesting grading system after each mini-game which can be seen as a reason to play them more than one time to get a better grade. 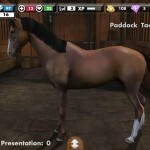 In Riding Stables 3D, each activity that you make affects the other which makes the game quite realistic. 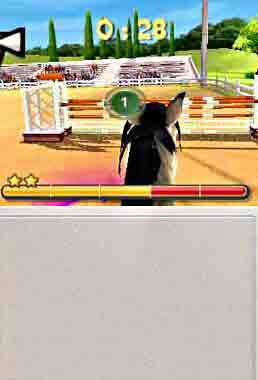 If you work with your horse on tricks, its training bar will go up, but its stamina, hunger, cleanliness and thirst will decrease. 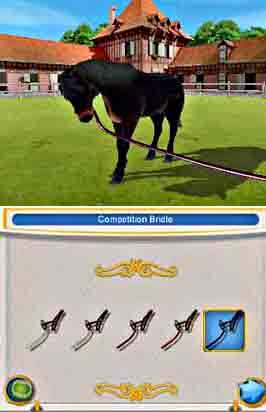 So if you want to win the competition and stay with your neighbor’s horses, don’t forget to watch all of these things!